It's that time again. There are six more days until the 2010 Academy Awards which means it's time to dive into the Oscar Pool and make your picks. !! CLICK HERE TO VOTE RIGHT NOW !! As past Oscar Pool winners can attest (*cough*GramTuna*cough*), actually seeing any of these movies prior to voting is not a requirement, and in fact is often a detriment. Sometimes it can muddy the tea leaves and make you all sympathetic to what you actually LIKE instead of what everybody on God's green earth knows is going to win. So feel free to vote by studio, favorite actor or actress, or degrees of Kevin Bacon. Whatever works for you, works for the pool. As always, we are voting on EVERY. SINGLE. CATEGORY. That's right. Best Best Boy. Grippingest Gripper. Outstanding achievement in gaffing. You're just lucky we don't vote on all the scientific categories that some D-listed celeb awards earlier at the undisclosed location. Other than that, everything is up for grabs. Documentary, Documentary Short, Animated Short ... all there. 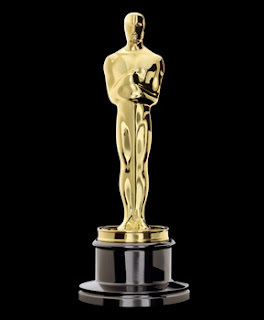 Voting is free, prizes are imaginary, and, of course, live-Oscar blogging will be had next Sunday. C'mon, go vote. Optimus Prime would want you to.